Just as Apple introduced a radically new design for the 10th anniversary of the iPhone, Samsung is reportedly looking to make a splash with its 10th Galaxy S flagship phone. According to the Wall Street Journal, a variant of the upcoming Galaxy S10, internally known as “Beyond X”, will have a massive 6.7-inch screen, six cameras, and 5G support. 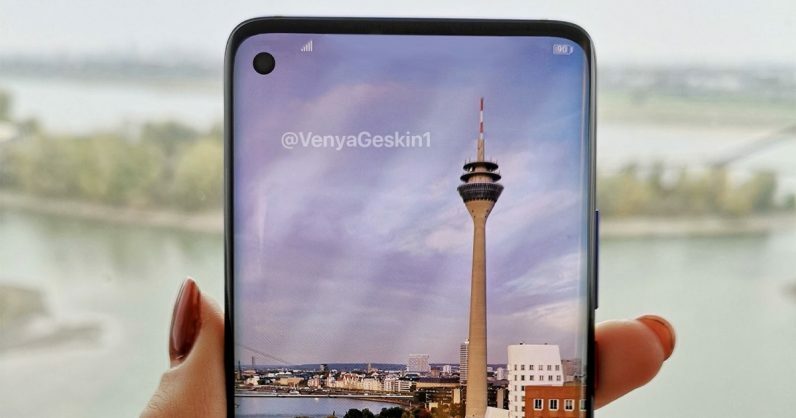 The report also noted that the Korean tech giant will introduce three other variants of the Galaxy S10, with screens ranging between 5.8 inches and 6.4 inches. These variants are separate from the 5G-capable Beyond X. These three variants are internally known as “Beyond 0”, “Beyond 1”, and “Beyond 2,” and they’ll sport between three and five cameras each. The device is likely to be launched in February next year. In addition to these four devices, Samsung is also working on a foldable phone that’s expected to launch in March – a month after the S10 models. Currently, the Galaxy Note9 houses Samsung’s biggest phone screen at 6.4 inches. Next year’s Galaxy S10 is said to be larger by a bit, at 6.7 inches. The company recently announced at its developer conference that it will introduce different types of notches in its screens for it to allow for a larger display area. That leads me to believe that it’ll go with notches for some of the variants of the S10. I’m also interested to see what Samsung’s six-camera setup will look like. The only other reference point we have for that is from last month, when Huawei’s Honor sub-brand introduced its Magic 2 with six cameras – three on the rear and three on the front. The WSJ report suggests that the 5G variant will launch only in the US and South Korea. But it’s worth noting that Samsung’s latest Exynos 9820 mobile processor isn’t 5G-ready, so the company will likely need to use a Qualcomm chipset to enable support for the new network standard on that model. Samsung is betting big on this phone, and expects it to do well to shore up its declining smartphone business. All hands on deck.